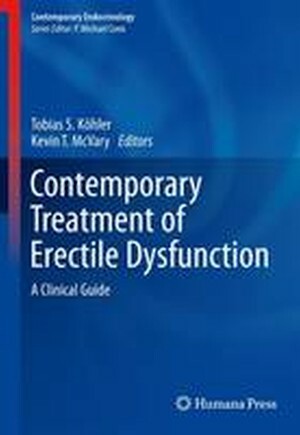 erectile dysfunction (ED) and other related male sexual dysfunctions. the effect of radiation on erectile function, and optimizing ED research. diagnosis and treatment of this common and debilitating disorder. 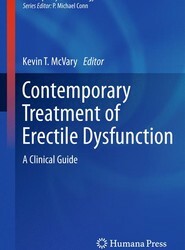 Animal Models for the Study of Erectile Function and Dysfunction.- Normal Erectile Physiology.- Psychological Aspects of Erectile Dysfunction.- Epidemiology of Erectile Dysfunction and Key Risk Factors.- Erectile Dysfunction: Etiology and Risk Factors.- Making the Diagnosis of Erectile Dysfunction .- Hormonal Evaluation and Therapy of Erectile Dysfunction.- Effects of Lifestyle Changes and Testosterone Therapy on Erectile Function.- Cardiovascular Issues in the Treatment of Erectile Dysfunction.- Alternative and Internet Drugs That Affect Sexual Function.- Prescription Medications That Affect Sexual Function.- Oral Prescription Therapy for Erectile Dysfunction.- Vacuum Therapy for Erectile Dysfunction.- Self-Injection, Transurethral, and Topical Therapy in Erectile Dysfunction.- Penile Prosthesis.- Endovascular Approaches to Penile Arterial Revascularization for Vasculogenic Erectile Dysfunction.- The Effect of Radical Prostatectomy on Sexual Function.- The Effect of Radiation on Erectile Function.- Penile Length: Natural History, Preservation, and Recovery.- Penile Rehabilitation After Prostate Cancer Treatments.- Peyronie's Disease: Natural History, Diagnosis, and Medical Therapy.- Injection Therapy for Peyronie's Disease.- Peyronie's Disease: Surgical Therapy.- Management of Priapism.- Ejaculatory Disorders.- Optimizing Research in Erectile Dysfunction.